For some months now Anokye Supremo formerly known as DL Junior has been battling with an illness (BRAIN TUMOUR). This made the DADDY Lumba look alike came on radio asking for funds to make him free from his illness. 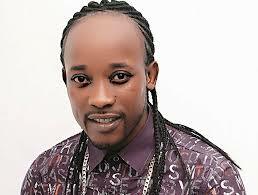 He was asked to go tell his mentor DADDY LUMBA senior, but nothing came out from it. News available to Remedi Entertainment indicates, Rev. Isaac Opoku, the founder and Overseer of In Him Is Life Church International popularly known as Osofo Botuo has donated a sum of 10,000 Ghana Cedis for payment of his medical bills to rescue him from going blind. According to DAVID ABOAGYE, he heard Anokye Supremo's story on radio asking for fund adding he was touched by his story and decided to help him out with the sum of 10.000.00 and even made it clear of his readiness to assist if other bills come on board. Anokye Supremo(formerly known as DL Junior) was discovered in 2010 in 'Just Like You', a reality TV Show which gave artistes the platform to mimic their favorite celebrities.